New ideas and tools to reach, activate and engage the consumers of today. Thrills Casino is one of the most anticipated launches the online gaming industry has seen in years. Morgenland has produced the concept and brand launch, with television spots and integrated digital communications. With a new mindset and backed by some of the most successful people in the industry these are the mavericks in the online gambling industry. Focusing on design, usability and customer experience the first new brand and product from this group to enter the Nordic market is Thrills. Morgenland created TVCs and brand communication to emphasize and clarify Thrills´ position as a little nicer casino. We also defined a brand story with relevance and uniqueness, we also created a world of animations and design elements for all marketing areas. All aimed to create and support a strong visual user and design experience in an entertainment world above the clouds. 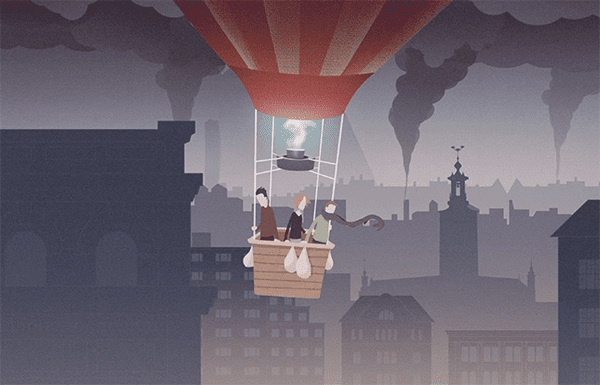 The concept and the communicative world above the clouds have developed furtber allowing to introduce new storylines and characters, such as Otto, The vain human cannonball and Franz, the cheap ringmaster. Morgenland have also with great creative freedom playfully benen able to male treatments, updates and almost endless variations of the assets to generate maximum campaign flexibility and effeciency, in all medias. It´s not everyday you get to work with a Hollywood legend. Lance Henriksen is the only man we know that have been killed by Terminator, Alien and Predator. A legendary actor used to working with the biggest movies, franchises and directors. And all we wanted was for him to say “Kaboo”. Morakniv was founded in 1891 but the knife making tradition in Mora goes far beyond that. Caring for a product so deeply ingrained in Swedish culture is quite a project, and something that must be taken with care. Look Mom! Top of the pops! We are proud and happy that the FWA have awarded our work for Goliath Sportswear and the international campaign for Premium INC as their Site of the Day, the Webby Honoree and the Dope award. The communication concept for Superlenny has delivered amazing results in the Nordics and the UK. We are now pleased to introduce another unit in this long living series. Highlighting the width of the brands offer and an updated sportsbook the new commercial was recorded at Stockholm Stadium. Viaplay is the leading digital streaming service provider in the Nordics and is owned by listed international broadcasting group MTG. Viaplay offers premium film, series and sports rights to all Nordic households and competes with Netflix, HBO and other SVOD and traditional Pay-TV operators.